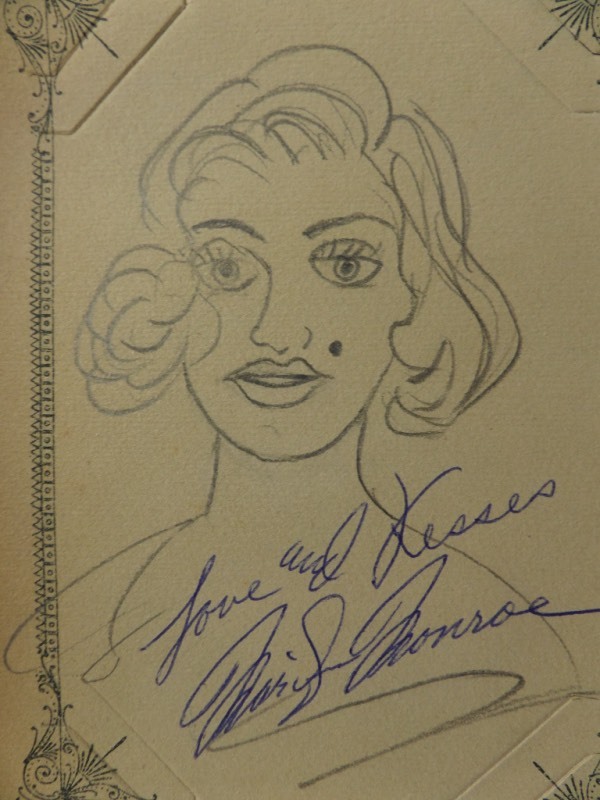 Coach's Corner - Marilyn Monroe hand signed original sketch. Go Back to Lot List Marilyn Monroe hand signed original sketch. This Hollywood must have is certainly a rare one of a kind, and was done by a fan in the 1950's, and then sent to Monroe who signed it in bold blue ink, and sent it back. The signature is a bold clean 10, has "Love & Kisses" written as a bonus, and size is about 5x7. Cool piece, a real must frame Tinsletown treat, and value of just her signature is 2 grand+.